Hi! Welcome to Kruti & Mehul's site - where you can preview all the paintings we have created with love and joy!! 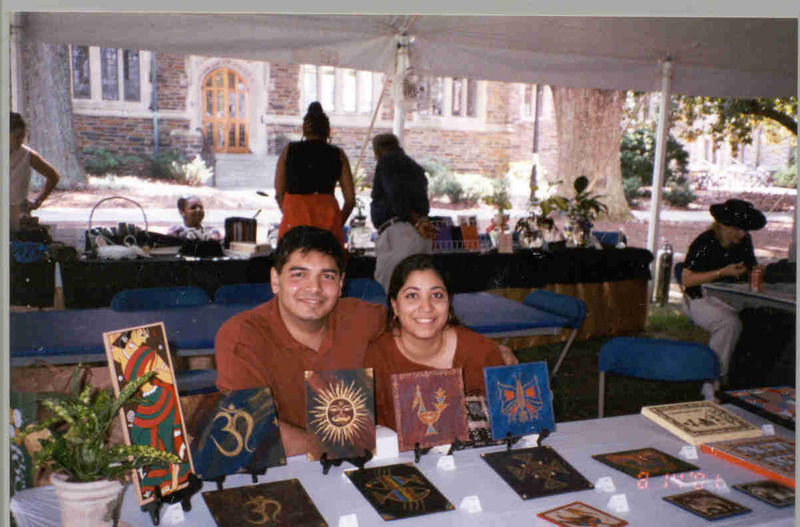 This is us - Kruti & Mehul at a recent Art Exhibition at Duke University in Durham, North Carolina. Please click on the links on the left side to view the paintings.